New Yorkers, rejoice! 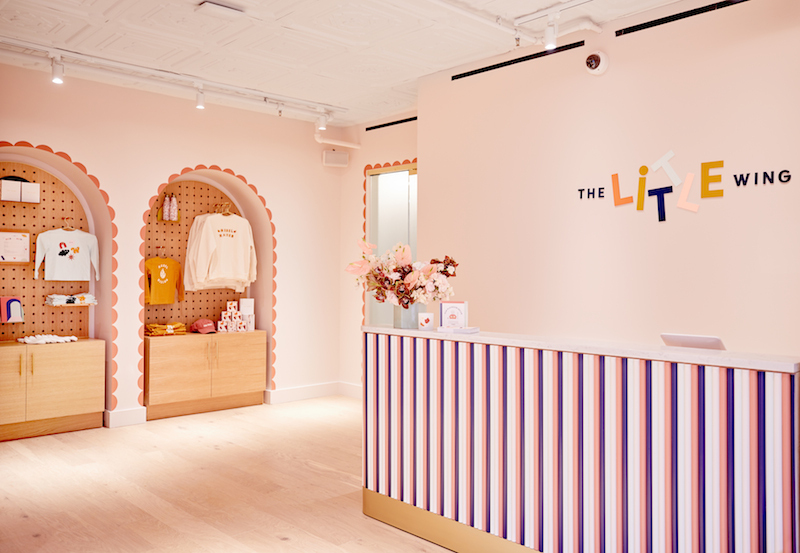 The Little Wing opened the doors of its first location today (in SoHo), officially offering members of The Wing—the mega-stylish, female-centered co-working space—a highly desirable new perk: childcare. Understandably, everyone went wild for the renderings when The Little Wing project was announced last fall, and now we’re excited to bring you an exclusive first look inside the completed space, nestled into the 4th floor of The Wing’s SoHo locale. The next Little Wing branch will open at The Wing West Hollywood, and hopefully in many other markets to follow. 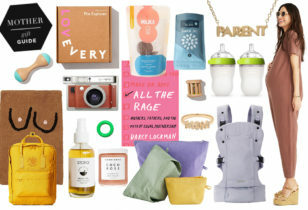 Below, Lauren Kassan, co-founder of The Wing, and mom to Quincy, 1, shows us around The Little Wing SoHo and answers all of our burning questions. Click through for a tour! "The space was designed by The Wing’s in-house interiors team, with a collection of the latest furniture and toys curated by Crate & Kids. Think The Wing, but shrunk down 4x and way more adorable! 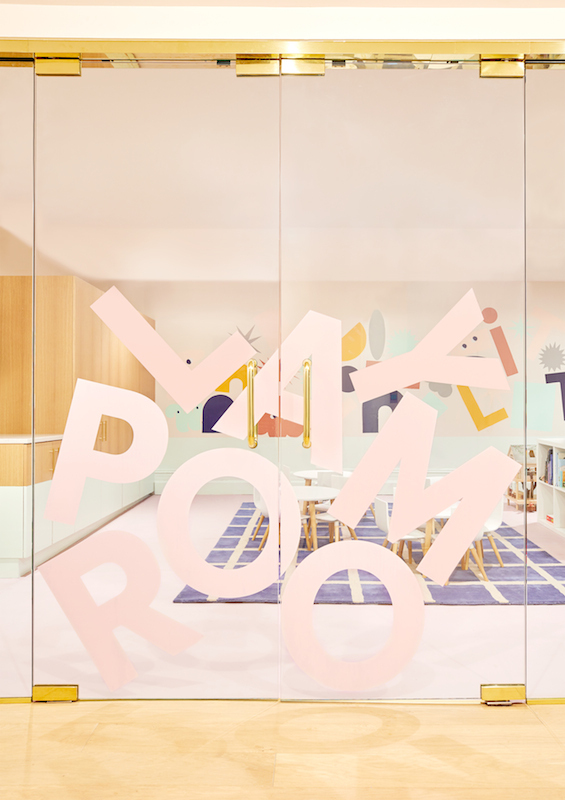 It was really important for us to to create an inspiring, happy space and allow kids to learn, grow, and explore. 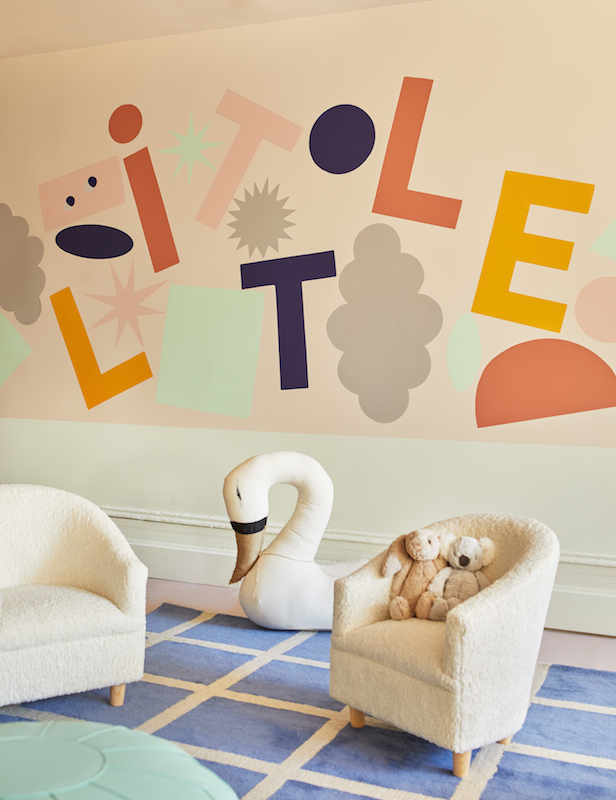 When concepting The Little Wing, Crate and Kids looked for pieces that were both beautiful and functional, while also aesthetically aligned with The Wing’s decor—modern and minimalist. We also partnered with Stories Bookshop & Storytelling Lab to stock our bookshelves with a wide array of children’s literature. Using the same system used in the other spaces, members and their children will be able to borrow books, as well!" "Yep! Audrey’s mother, Lisa Spiegel, helped us early on when conceptualizing The Little Wing. 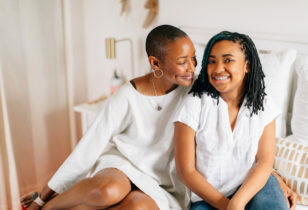 Lisa is the founder of Soho Parenting, one of the first centers in NYC to offer guidance and support to parents that she actually set up when Audrey was a baby and she was seeking a community and emotional support. Lisa has over 30 years of experience in this space, so she was the perfect person for us to lean on for help in crafting the programming for parents. She really helped us envision a space that was going to not only service the development of children but also prioritized serving as a safe space for parents. While being a parent is incredibly rewarding, it’s also one of the more isolating and difficult life experiences. We wanted to tackle that head on and host recurring support circles that Lisa will host with our members as a safe space to talk about issues they may be facing." 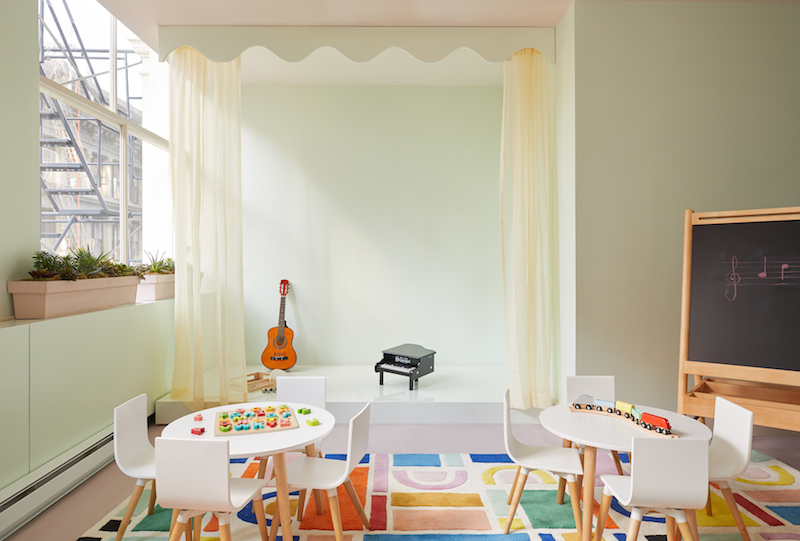 "The Little Wing will welcome children aged 1 to 6 years, and our open play option will be available for children as young as 3 months and as old as 9 years. We also will implement options for infants and newborns down the line." 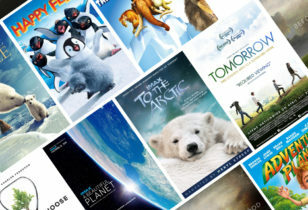 "We’re really excited by the programming offerings The Little Wing will have. It was important for us to mirror the diversity and depth of the adult programming for the children, as well. Some examples of the enrichment programming include Sensory Art, Theatre, Big World of Little Dude (mindfulness, social emotional learning), and STEAM (science, tech, engineering, art, and math). There will also be plenty of classes for parents to do with their kids such as prenatal yoga, postpartum yoga, dance and movement, and music. 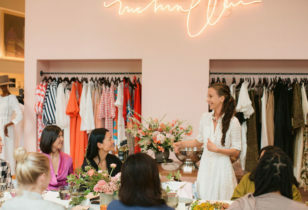 As we open our offerings to more age groups we plan on hosting a mother/daughter book club, homework club, creative writing, language classes, and cooking classes." 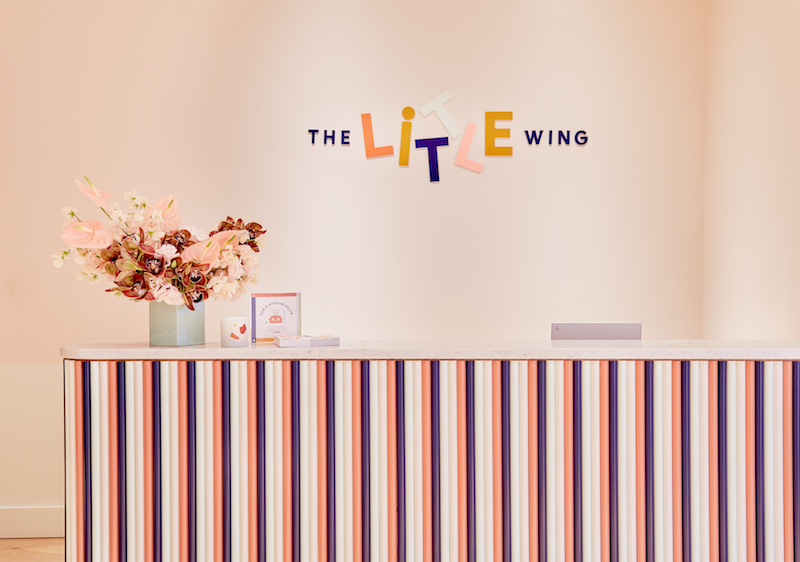 "The Little Wing spans a little over 1,500 square feet and is located on the fourth floor of The Wing Soho. It will have a separate entrance from The Wing and will have sound proof doors to ensure members who are working on the fourth floor aren’t disrupted by things like our very fun but very loud music classes. Nap time will happen at various hours of the day in both rooms. Also, as part of our fourth floor extension, we will have a kids menu for the first time! Options will include to-go sandwich and 'kidsbox' offerings inspired by and named after the favorite foods of children of our team members." 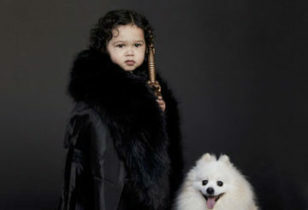 "When I was pregnant with Quincy, we were very much in the early stages of The Wing but growing quickly. I was already being asked what kind of childcare options I was going to use by friends and family: How was I going to take care of a baby while also scaling a company? Did I already sign up my unborn baby for daycare!? That was the first time it hit me how important of a consideration and long of a process finding quality child care options was for working parents. On top of that, it was complicated, expensive, and wholly under supported by many employers and the government. At The Wing, we had a community of parents who were using The Wing as their offices, working on their freelance or passion projects, and returning to work for the first time since having a child, so it only made sense for us to help facilitate their efforts even further by creating a space like The Little Wing. Also, a solid 25% of our members are parents, the majority of those have young children—it was just a good business decision, and I wish many employers understood the importance behind prioritizing child care and supporting parents as they return to the workforce." "No! Quite the opposite—when we first announced The Little Wing, the outpouring of emotional emails and members coming up to us to express how important and helpful this will be to them has been incredible. When we first were conceptualizing the idea, we did hear many people who told us it was going to be too difficult and there would be too many barriers—that’s just not true. When you prioritize something, especially through the lens of your own experiences, you can make things work. That’s why it’s so imperative to give women, especially mothers, a seat at the table." "Babysitting is $25 for a two-hour session; parent support groups are included in membership dues." 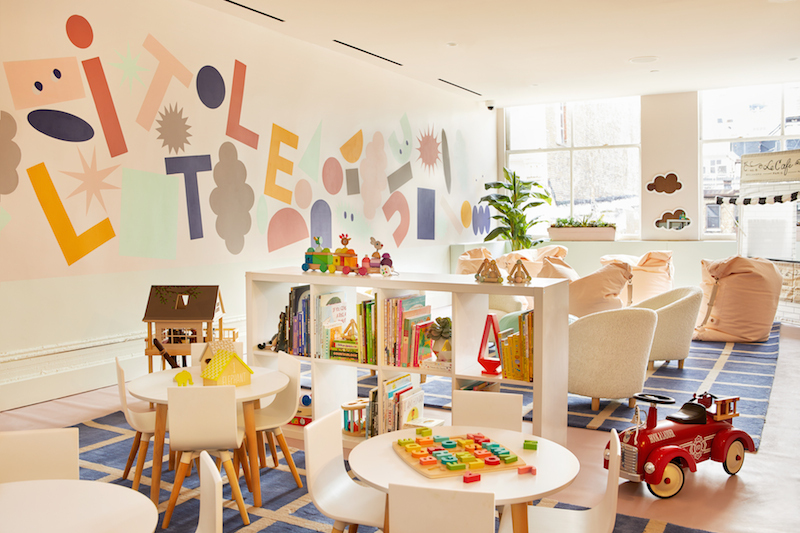 "The Little Wing isn’t designed to replace full time childcare, but serve as a trustworthy option for members to utilize while they get a few hours of work done, take meetings, listen to a panel, or sit down with other parents for an expert-led talk at The Wing. It’s an option that we think will be incredibly impactful to the lives of our members and ultimately help facilitate taking a moment for themselves—whether that’s personal or professional." 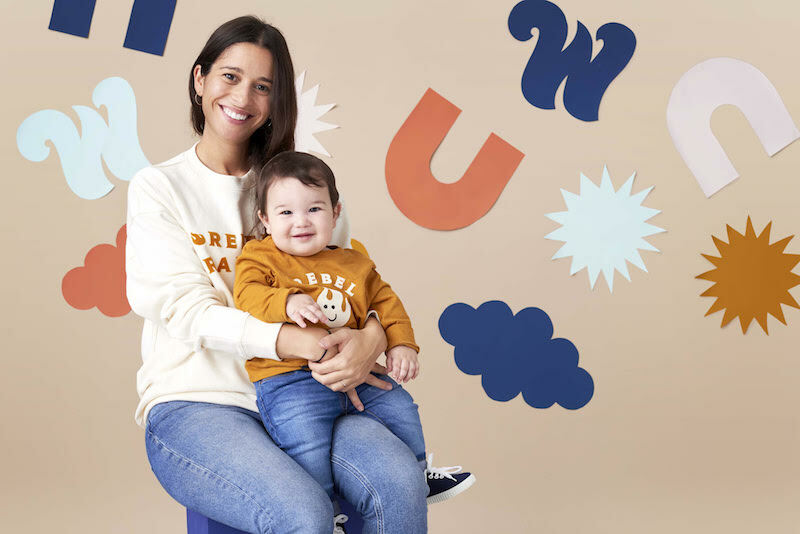 The Wing co-founder Lauren Kassan and son Quincy. You can stay up-to-date on all things The Little Wing (including when new locations open), right here.